Every Home for Christ (EHC) in Australia works as part of an international missions organisation dedicated to systematically delivering a gospel booklet to every home on earth. Since its beginnings in Canada in1946, Every Home for Christ has remained on a steady committed course toward this vision supporting national workers and national churches to go home-to-home until every home in their nation has been visited. Since 1946, more than 2 billion homes have been visited with gospel literature. 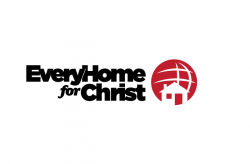 Every Home Global Concern grew out of Every Home for Christ and two trading names came into being in 2008 - “Every Home for Christ” and “Global Concern”. Global Concern reflects our second goal which is to help the poor and disadvantaged overseas lift themselves out of poverty through holistic community development programs. These development programs are outlined in the Annual Report and receive funds from the public and in some cases also from the Australian government (in 2007/18 for Togo, Malawi and Zambia).